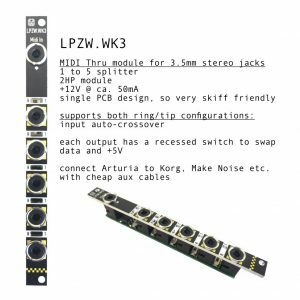 Our new 1 to 5 Midi-Thru module that gives you midi 3.5mm stereo jacks without the need for adapter cables. The input is auto-cross-over and each output has its own switch to swap tip and ring position of data and +5V. 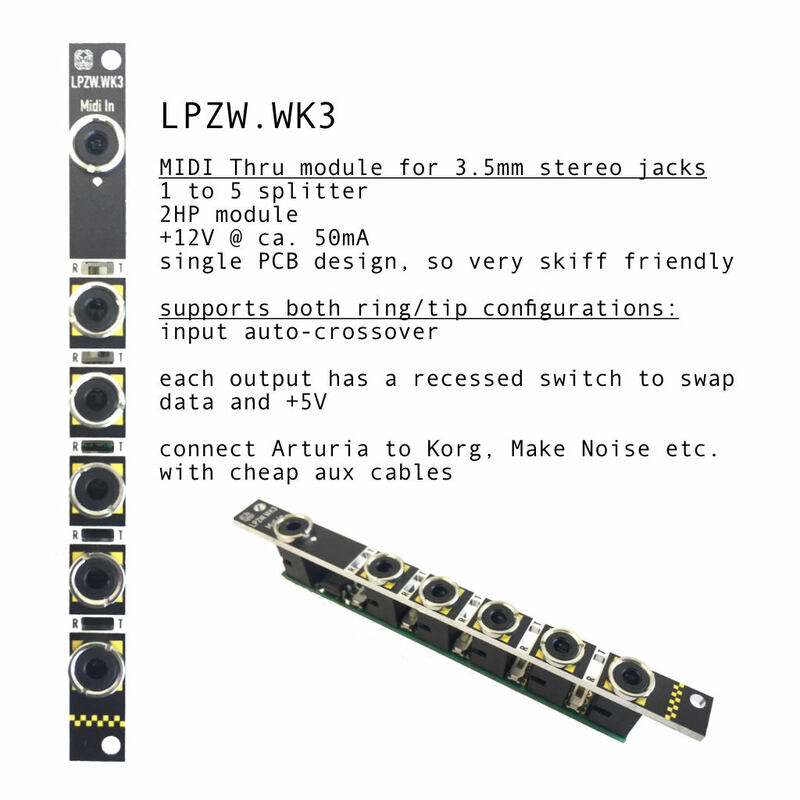 So you can connect Aturia, Korg, Make Noise, ALM and other 3.5mm Midi with just cheap stereo aux cables. As long as the sleeve is always GND you are good (people putting anything else than GND there should be stabbed anyway).